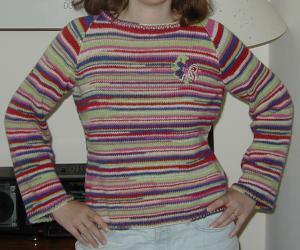 I started this sweater in order to practice continental knitting. I love the colors in this DK weight "crazy colors" yarn from Regia. The pattern is a slight re-design of Shona from A Season's Tale. I adore this sweater! !